Eligibility. The contest is open to all InterExchange Working Abroad participants and alumni. Submission criteria. 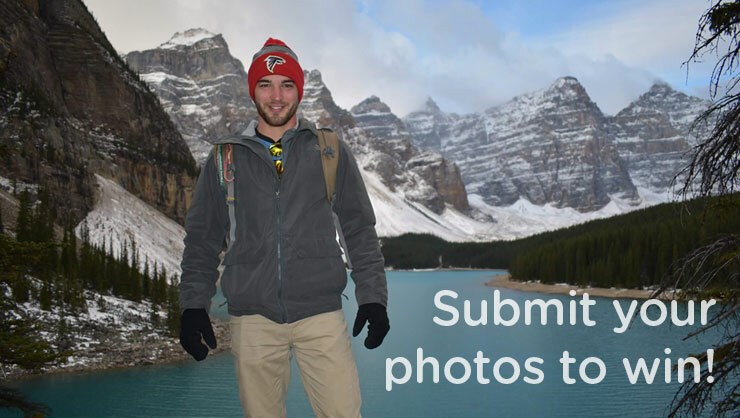 Entries must be received between January 15, 2018 and April 30, 2018 and must be submitted at https://www.interexchange.org/contests/working-abroad/photo-contest/. There is no maximum number of entries, but duplicate entries will not be considered. Authorship. Participant must be the sole author and owner of the copyright of all content submitted. Source material or proof of permission to use must be made available on request by InterExchange. InterExchange does not accept any liability for the publication of unlawfully reproduced images. Winner. Within two weeks of the contest closing date, April 30, 2018, one photo will be selected as the winner, based on the decision of InterExchange. The winner will be notified by email and must confirm his/her mailing address (must be a U.S. address) for shipping of the prize. InterExchange’s decision on all matters relating to the competition and winner selection is final. Prize. Winner will receive a $100 Amazon Gift Card. Prize non-transferable and may not be exchanged for any other goods or services. Winner is responsible for any applicable taxes as required by law. Use of content. By entering your image, you grant InterExchange the non-exclusive right to modify and/or reproduce it for any purpose at any time in any media with attribution. You consent to the use of content, name and/or photograph in any publicity carried out by InterExchange, without further compensation. Tanner captured this amazing shot during his Work & Travel Canada program.